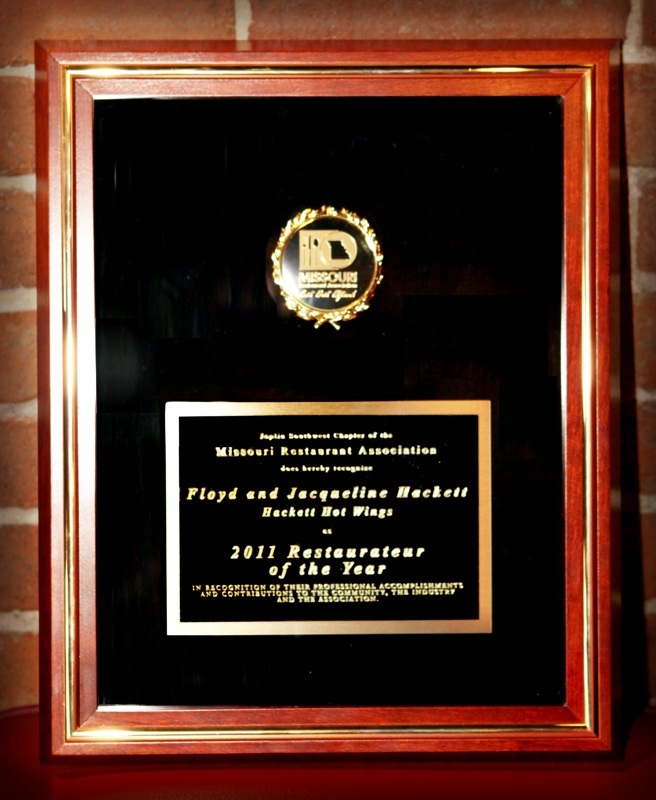 Hackett Hot Wings was recently honored as the 2011 Restaurateur of the Year by the Missouri Restaurant Association. 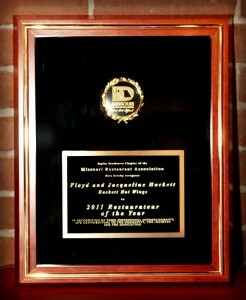 Thursday, February 9, 2012 – At the annual awards dinner in January, the Chapter honored Floyd & Jacqueline Hackett, Owners of Hackett Hot Wings, in Joplin, as the 2011 Restaurateurs of the Year. Their honorable award and personal story was featured in an article in the Joplin Globe. Click here to access the article and watch the Hacketts’ interview.